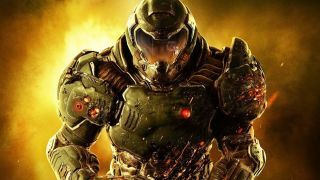 You may already know that Bethesda squeezed some old-school love into the new Doom thanks to secret areas that contain snippets of original Doom and Doom 2 levels. But did you know it's possible to go the opposite direction? Over on the ZDoom forums, modders DBThanatos, Major Cooke, and Michaelis are working on porting Doom (2016) into Doom (1993). The results so far are pretty impressive, with the new game's weaponry functioning well in the sprite-based environment. The mod is called "D4D," AKA "Doom(4) for Doom." You can follow the ZDoom forums for updates, or just wait for it to be finished. DBThanatos says in his posts that it will be coming "soon...ish."